Want to spice things up with old-fashioned glamor, sun-drenched shores, and fantastic food? Then we highly recommend a delectable journey to the Italian Riviera, where resort towns and cliff-side fishing villages emerge from the rocky shores of the Ligurian Sea in one stunning location after another. Writers, artists, royals, and celebrities have all flocked to this storied part of the world in search of sun, sand, and the warm blue sea. And now it’s your turn get a taste of the good life with Azamara Club Cruises. But be careful of biting off more than you can chew: Once you’ve visited the Italian Riviera with us, every other destination in the world may seem a bit bland in comparison. Explore these five colorful villages—a UNESCO World Heritage Site—carved into the rocky cliffs of the Italian shoreline and connected through a series of paths, tunnels, and steps. Hike the Azure Trail for I-can’t-believe-my-eyes views and to see gardens and fields chiseled from solid rock that have been compared to the Great Wall of China. Check out our Destination Immersion Blog for a collection of 15 Photos that prove Italy was made for cruisers (and to get a preview of your next Italian journey with Azamara). 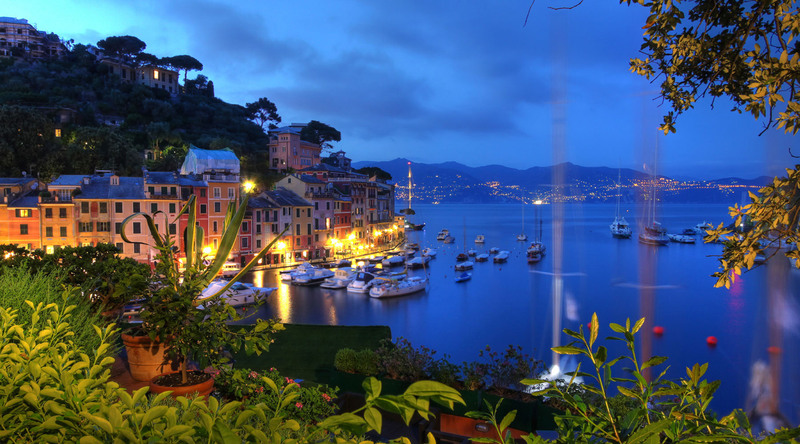 Make like the jet-set in Portofino, take a dip in the azure waters of Santa Margherita, and appreciate the fine art, history, and scenery of Rapallo. Dive, snorkel, or cruise the protected waters around Portofino to catch a glimpse of a world under water that’s almost as colorful as the one above. Go in depth with an Azamara Shore Excursion guided tours, where we’ll take you places other cruise lines can’t. Discover available tours for your voyage! Combine fresh basil, earthy pine nuts, sharp Parmesan, pungent garlic, and golden olive oil to create the Italian Riviera’s most iconic flavor, pesto, which is best enjoyed on top of a bowl of fresh pasta. Journey to Liguria’s largest olive grove and taste the exclusive Celso olive oil on our Insider Access tour in Santa Margherita. Find a hidden trattoria in a seaside village where fresh seafood is served up in rich sauces—perfect for sopping up with a slice of straight-out-of-the-oven focaccia.